Catterline is different. When visiting somewhere for the first time there's a tendency to view it alongside other places you've visited, to compare and contrast the overall experience or the component parts. This is very difficult to do with Catterline, and it's this sense of "differentness" that provides the key to the village's attraction. The curved shingle bay below Catterline was said to be a landing point for St Ninian around 400 as he began the conversion of the Picts to Christianity. Fishing boats have operated from here for a thousand years or more, though the numbers operating in recent centuries have not been large. And smuggling was often a popular means of supplementing fishing incomes. In 1810 a pier was built to add further protection for the vessels based here. A mile to the north is what for a long time was almost a twin village for Catterline: Crawton, whose south-facing bay complemented Catterline's east-facing harbour nicely. 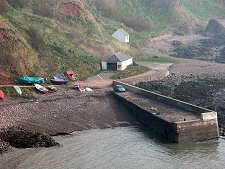 However, while Catterline entered the 1900s on a reasonably secure basis, Crawton's boats had already left for the safer harbour at Stonehaven and by 1910 Crawton had been abandoned completely. 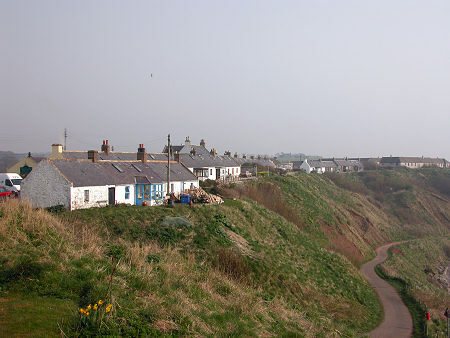 Today parts of the abandoned village have been reclaimed as houses, but Crawton is best known for its magnificent cliff scenery with bird life to match. Catterline is spread along the skyline of the low cliffs rising from the bay below. 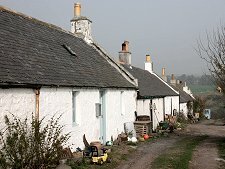 The first impression is of a single line of cottages, looking remarkably original and incredibly attractive. This is true at the south end of the bay, though further north the depth of the village is greater than it at first appears with more development behind the brow of the cliffs. 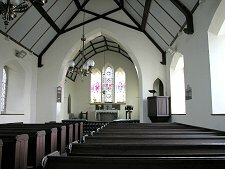 Between Catterline and Crawton and a few hundred yards inland from the cliffs is St Philip's Church, Catterline. 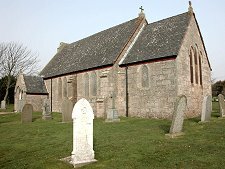 The current church was built in 1848 on the site of a much earlier church, possibly one of a line leading right back to St Ninian's time. The interior has been refurbished recently and the effect of the dark wood and white walls is extremely pleasing. Through the 1900s Catterline became known less for its fishing than for its artists. 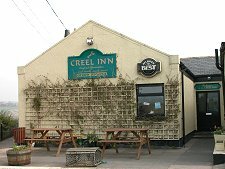 A number of artists including Joan Eardley, Annette Soper, Angus Neil and Lil Neilson together formed what some have referred to as a Catterline School: artists drawn by the atmosphere and the light of this intriguing little village.